Lunches were packed fast this morning since we all woke up feeling tired. My son wanted a lunch similar to this yubo lunch so packed him vanilla yogurt, chocolate shavings and Naturebox Orange Crush Granola and a Lunch Punch Elephant sandwich with a chocolate chip eye standing on a vanilla chocolate chip cereal bar. He also brough ice water in a thermos! 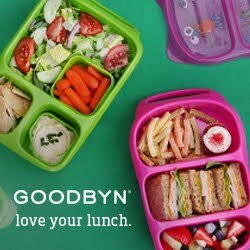 We also packed our new yumbox today which seems perfect so far for my small appetite first grader! He chose vanilla yogurt, oranges, carrots and apples, a yogurt cereal bar and half a pretzel bagel with cream cheese for lunch today. I added a chocolate heart as a special treat for today as well. He has ice water in a thermos packed in his lunch bag, too. I love that this lunchbox has so many small compartments! My son felt overwhelmed with the bigger lunchboxes and he loves this 6 compartment box. Less food but more choice! I love the star cup in the yubo container! Consider that idea STOLEN! Hehe - go for it, Kendra! Love your blog.! Your nature box items? How do you like them? And will the yum box hold a thermos of any kind or warm items? You rock :) Thanks for sharing to my World Elephant Day link-up!